IF YOU DO NOT AGREE TO ANY OF THESE TERMS, THEN PLEASE DO NOT CONTINUE USE THE IDAHOPIZZACOMPANY.COM WEBSITE. IF YOU HAVE PAID MONEY TO IDAHOPIZZACOMPANY.COM PRIOR TO REVIEWING THESE TERMS OF SERVICE AND YOU NOW DISAGREE WITH THEM, PLEASE CONTACT IDAHOPIZZACOMPANY.COM AT WEBSITE@IDAHOPIZZACOMPANY.COM ABOUT OBTAINING A REFUND. THIS AGREEMENT IS EFFECTIVE AS OF THE DATE AND TIME IN YOUR LOCATION WHEN YOU CONTINUE TO USE THE WEBSITE AFTER HAVING VISITED THIS PAGE. Important Payment Information: Idahopizzacompany.com charges a NON-REFUNDABLE listing fee to Users who choose to list an item or items for sale or exchange on the idahopizzacompany.com site. If you do not wish to pay a non-refundable listing fee to list an item on the idahopizzacompany.com Site, please do not use the Website or the service. To view or access all the features of the idahopizzacompany.com Website, your web browser may require additional third-party software, also known as plug-ins, add-ons, extensions, etc. Idahopizzacompany.com makes no warranties that this third-party software will be compatible with your computer and specifically disclaims any liability for direct or consequential damages that arise when you download, install, or use third-party software to access the content or features of the idahopizzacompany.com Website. Idahopizzacompany.com hereby grants you permission to use the Website as set forth in these Terms of Service, provided that: (i) your use of the Website as permitted is solely for your personal, noncommercial use; (ii) you will not copy or distribute any part of the Website in any medium without idahopizzacompany.com’s prior written authorization; (iii) you will not alter or modify any part of the Website; and (iv) you will otherwise comply with the terms and conditions of these Terms of Service. In order to access some features of the Website, you will have to create an account. You may never use another's account without idahopizzacompany.com’s permission. When creating your account, you must provide accurate and complete information. You are solely responsible for the activity that occurs on your account, and you must keep your account password secure. You must notify idahopizzacompany.com immediately of any breach of security or unauthorized use of your account. Although idahopizzacompany.com will not be liable for your losses caused by any unauthorized use of your account, you may be liable for the losses of idahopizzacompany.com or others due to such unauthorized use. You agree not to use or launch any automated system, including without limitation, "robots," "spiders," "offline readers," etc., that accesses the Website in a manner that sends more request messages to the idahopizzacompany.com servers in a given period of time than a human can reasonably produce in the same period by using a conventional web browser. Notwithstanding the foregoing, idahopizzacompany.com grants the operators of public search engines permission to use automated systems to copy materials from the site for the sole purpose of creating publicly available searchable indices of the materials, but not caches or archives of such materials. Idahopizzacompany.com reserves the right to revoke these exceptions either generally or in specific cases. You agree not to collect or harvest any personally identifiable information, including account names, from the Website, and not to use the communication systems provided by the Website for any commercial solicitation purposes. You agree not to solicit, for commercial purposes, any users of the Website with respect to their User Submissions (as defined below). The content on the idahopizzacompany.com Website, except all User Submissions (as defined below), including without limitation, the text, software, meta tags, scripts, graphics, photos, sounds, music, videos, interactive features and the like ("Content") and the trademarks, service marks, trade dress and logos contained therein ("Marks"), are owned by or licensed to idahopizzacompany.com, subject to copyright and other intellectual property rights under United States and foreign laws and international conventions. Content on the Website is provided to you AS IS for your information and personal use only and may not be used, copied, reproduced, distributed, transmitted, broadcast, displayed, sold, licensed, or otherwise exploited for any other purposes whatsoever without the prior written consent of the respective owners. Idahopizzacompany.com reserves all rights not expressly granted in and to the Website and the Content. You agree to not engage in the use, copying, or distribution of any of the Content other than expressly permitted herein, including any use, copying, or distribution of User Submissions of third-parties obtained through the Website for any commercial purposes. If you download or print a copy of the Content for personal use, you must retain all copyright and other proprietary notices contained therein. You agree not to circumvent, disable or otherwise interfere with security related features of the idahopizzacompany.com Website or features that prevent or restrict use or copying of any Content or enforce limitations on use of the idahopizzacompany.com Website or the Content therein. The idahopizzacompany.com Website may now or in the future permit the submission of photographs or other communications submitted by you and other users ("User Submissions") and the hosting, sharing, and/or publishing of such User Submissions. You understand that whether or not such User Submissions are published, idahopizzacompany.com does not guarantee any confidentiality with respect to any submissions. You shall be solely responsible for your own User Submissions and the consequences of posting or publishing them. In connection with User Submissions, you affirm, represent, and/or warrant that: (i) you own or have the necessary licenses, rights, consents, and permissions to use and authorize idahopizzacompany.com to use all patent, trademark, trade secret, copyright or other proprietary rights in and to any and all User Submissions to enable inclusion and use of the User Submissions in the manner contemplated by the Website and these Terms of Service; and (ii) you have the written consent, release, and/or permission of each and every identifiable individual person in the User Submission to use the name or likeness of each and every such identifiable individual person to enable inclusion and use of the User Submissions in the manner contemplated by the Website and these Terms of Service. For clarity, you retain all of your ownership rights in your User Submissions. However, by submitting the User Submissions to idahopizzacompany.com, you hereby grant idahopizzacompany.com a worldwide, non-exclusive, royalty-free, sub-licensable and transferable license to use, reproduce, distribute, prepare derivative works of, display, and perform the User Submissions in connection with the idahopizzacompany.com Website and idahopizzacompany.com’s (and its successor's) business, including without limitation for promoting and redistributing part or all of the idahopizzacompany.com Website (and derivative works thereof) in any media formats and through any media channels. You also hereby grant each user of the idahopizzacompany.com Website a non-exclusive license to access your User Submissions through the Website, and to use, reproduce, distribute, prepare derivative works of, display and perform such User Submissions as permitted through the functionality of the Website and under these Terms of Service. The foregoing license granted by you terminates once you remove or delete a User Submission from the idahopizzacompany.com Website. In connection with User Submissions, you further agree that you will not: (i) submit material that is copyrighted, protected by trade secret or otherwise subject to third-party proprietary rights, including privacy and publicity rights, unless you are the owner of such rights or have permission from their rightful owner to post the material and to grant idahopizzacompany.com all of the license rights granted herein; (ii) publish falsehoods or misrepresentations that could damage idahopizzacompany.com or any third-party; (iii) submit material that is unlawful, defamatory, libelous, threatening, harassing, hateful, sexually explicit, or racially or ethnically offensive, or that encourages conduct that would be considered a criminal offense, give rise to civil liability, violate any law, or otherwise be inappropriate; (iv) post advertisements or solicitations of business; and (v) impersonate another person. Idahopizzacompany.com does not endorse any User Submission or any opinion, recommendation, or advice expressed therein, and idahopizzacompany.com expressly disclaims any and all liability in connection with User Submissions. 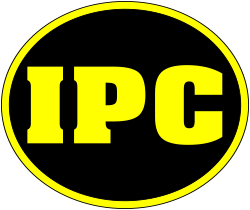 Idahopizzacompany.com does not permit copyright infringing activities and infringement of intellectual property rights on its Website, and idahopizzacompany.com will remove all Content and User Submissions if properly notified that such Content or User Submission infringes on another's intellectual property rights. Idahopizzacompany.com reserves the right to remove Content and User Submissions without prior notice. Idahopizzacompany.com will also terminate a User's access to its Website, if they are determined to be a repeat infringer. Idahopizzacompany.com will not be obligated to refund any unused portion of a listing, membership or subscription fee if an account is terminated for repeat copyright infringement. A repeat infringer is a User who has been notified of infringing activity more than twice and/or has had a User Submission removed from the Website more than twice. Idahopizzacompany.com also reserves the right to decide whether Content or a User Submission is appropriate and complies with these Terms of Service for violations other than copyright infringement and violations of intellectual property law, including, but not limited to, whether a User Submission is defamatory or excessively long. Idahopizzacompany.com may remove such User Submissions and/or terminate a User's access for uploading such material in violation of these Terms of Service at any time, without prior notice and at its sole discretion. Idahopizzacompany.com’s designated Copyright Agent to receive notifications of claimed infringement at: P.O. Box 160, Kuna, Idaho 83634; email: dcma@idahopizzacompany.com. See also http://www.copyright.gov/onlinesp/list/index.html. You understand that when using the idahopizzacompany.com Website, you will be exposed to User Submissions from a variety of sources, and that idahopizzacompany.com is not responsible for the accuracy, usefulness, safety, or intellectual property rights of or relating to such User Submissions. You further understand and acknowledge that you may be exposed to User Submissions that are inaccurate, offensive, indecent, or objectionable, and you agree to waive, and hereby do waive, any legal or equitable rights or remedies you have or may have against idahopizzacompany.com with respect thereto, and agree to indemnify and hold idahopizzacompany.com, its Owners/Operators, affiliates, and/or licensors, harmless to the fullest extent allowed by law regarding all matters related to your use of the site. Idahopizzacompany.com permits you to link to materials on the Website for personal, non-commercial purposes only and reserves the right to disable access to any site acting as the referring site, in idahopizzacompany.com’s sole discretion. Idahopizzacompany.com reserves the right to discontinue any aspect of the idahopizzacompany.com Website at any time. Please do not send unsolicited ideas to idahopizzacompany.com, including but not limited to ideas for advertising campaigns, promotions, products, menu items, product improvements, processes, recipes, materials, marketing plans, or product names. Neither idahopizzacompany.com nor any of its employees accept or consider unsolicited ideas. This policy is intended to avoid misunderstandings or disputes when idahopizzacompany.com’s products or marketing strategies seem similar to unsolicited ideas that were submitted to idahopizzacompany.com. If, despite our request that you not send us your ideas, you still send them, then regardless of what your submission states, the following terms shall apply to your submission: (1) you agree that your ideas will automatically become the property of idahopizzacompany.com, without compensation to you; and (2) you agree that idahopizzacompany.com can use the ideas for any purpose and in any way—even give them to others. Idahopizzacompany.com does, however, welcome your feedback regarding many areas of our existing business. If you want to send us your feedback—and we hope you do—just use our Feedback page. Please provide only specific feedback on our existing products or marketing strategies (in other words, do not include any unsolicited ideas that our policy will not permit us to accept or consider). YOU AGREE THAT YOUR USE OF THE IDAHOPIZZACOMPANY.COM WEBSITE AND SERVICES SHALL BE AT YOUR SOLE RISK. TO THE FULLEST EXTENT PERMITTED BY LAW, IDAHOPIZZACOMPANY.COM, ITS OFFICERS, DIRECTORS, EMPLOYEES, AND AGENTS DISCLAIM ALL WARRANTIES, EXPRESS OR IMPLIED, IN CONNECTION WITH THE WEBSITE AND YOUR USE THEREOF, INCLUDING THE IMPLIED WARRANTIES OF MERCHANTABILITY, FITNESS FOR A PARTICULAR PURPOSE, AND NONINFRINGEMENT. IDAHOPIZZACOMPANY.COM MAKES NO WARRANTIES OR REPRESENTATIONS ABOUT THE ACCURACY OR COMPLETENESS OF THIS SITE'S CONTENT OR THE CONTENT OF ANY SITES LINKED TO THIS SITE AND ASSUMES NO LIABILITY OR RESPONSIBILITY FOR ANY: (1) ERRORS, MISTAKES, OR INACCURACIES OF CONTENT; (2) PERSONAL INJURY OR PROPERTY DAMAGE, OF ANY NATURE WHATSOEVER, RESULTING FROM YOUR ACCESS TO AND USE OF OUR WEBSITE; (3) ANY UNAUTHORIZED ACCESS TO OR USE OF OUR SECURE SERVERS AND/OR ANY AND ALL PERSONAL INFORMATION AND/OR FINANCIAL INFORMATION STORED THEREIN; (4) ANY INTERRUPTION OR CESSATION OF TRANSMISSION TO OR FROM OUR WEBSITE; (5) ANY BUGS, VIRUSES, TROJAN HORSES, OR THE LIKE WHICH MAY BE TRANSMITTED TO OR THROUGH OUR WEBSITE BY ANY THIRD-PARTY; (6) ANY ERRORS OR OMISSIONS IN ANY CONTENT OR FOR ANY LOSS OR DAMAGE OF ANY KIND INCURRED AS A RESULT OF THE USE OF ANY CONTENT POSTED, EMAILED, TRANSMITTED, OR OTHERWISE MADE AVAILABLE VIA THE IDAHOPIZZACOMPANY.COM WEBSITE; AND/OR (7) ANY FAILED BARTER OR SALES TRANSACTION THAT IS NOT CONSUMMATED AS A RESULT OF ANY ACTION OR INACTION ON THE PART OF BUYER, SELLER, OR BOTH. IDAHOPIZZACOMPANY.COM DOES NOT WARRANT, ENDORSE, GUARANTEE, OR ASSUME RESPONSIBILITY FOR ANY PRODUCT OR SERVICE ADVERTISED OR OFFERED BY A THIRD-PARTY THROUGH THE IDAHOPIZZACOMPANY.COM WEBSITE OR ANY HYPERLINKED WEBSITE OR FEATURED IN ANY BANNER OR OTHER ADVERTISING, AND IDAHOPIZZACOMPANY.COM WILL NOT BE A PARTY TO OR IN ANY WAY BE RESPONSIBLE FOR MONITORING ANY TRANSACTION BETWEEN YOU AND THIRD-PARTY PROVIDERS OF PRODUCTS OR SERVICES. AS WITH THE PURCHASE OF A PRODUCT OR SERVICE THROUGH ANY MEDIUM OR IN ANY ENVIRONMENT, YOU SHOULD USE YOUR BEST JUDGMENT AND EXERCISE CAUTION WHERE APPROPRIATE. IN NO EVENT SHALL IDAHOPIZZACOMPANY.COM, ITS OFFICERS, DIRECTORS, EMPLOYEES, OR AGENTS, BE LIABLE TO YOU FOR ANY DIRECT, INDIRECT, INCIDENTAL, SPECIAL, PUNITIVE, OR CONSEQUENTIAL DAMAGES WHATSOEVER RESULTING FROM ANY: (1) ERRORS, MISTAKES, OR INACCURACIES OF CONTENT; (2) PERSONAL INJURY OR PROPERTY DAMAGE, OF ANY NATURE WHATSOEVER, RESULTING FROM YOUR ACCESS TO AND USE OF OUR WEBSITE; (3) ANY UNAUTHORIZED ACCESS TO OR USE OF OUR SECURE SERVERS AND/OR ANY AND ALL PERSONAL INFORMATION AND/OR FINANCIAL INFORMATION STORED THEREIN; (4) ANY INTERRUPTION OR CESSATION OF TRANSMISSION TO OR FROM OUR WEBSITE; (5) ANY BUGS, VIRUSES, TROJAN HORSES, OR THE LIKE, WHICH MAY BE TRANSMITTED TO OR THROUGH OUR WEBSITE BY ANY THIRD-PARTY; (6) ANY ERRORS OR OMISSIONS IN ANY CONTENT OR FOR ANY LOSS OR DAMAGE OF ANY KIND INCURRED AS A RESULT OF YOUR USE OF ANY CONTENT POSTED, EMAILED, TRANSMITTED, OR OTHERWISE MADE AVAILABLE VIA THE IDAHOPIZZACOMPANY.COM WEBSITE; AND/OR (7) ANY FAILED BARTER OR SALES TRANSACTION THAT IS NOT CONSUMMATED AS A RESULT OF ANY ACTION OR INACTION ON THE PART OF BUYER, SELLER, OR BOTH, WHETHER BASED ON WARRANTY, CONTRACT, TORT, OR ANY OTHER LEGAL THEORY, AND WHETHER OR NOT IDAHOPIZZACOMPANY.COM IS ADVISED OF THE POSSIBILITY OF SUCH DAMAGES. THE FOREGOING LIMITATION OF LIABILITY SHALL APPLY TO THE FULLEST EXTENT PERMITTED BY LAW IN THE APPLICABLE JURISDICTION. YOU SPECIFICALLY ACKNOWLEDGE THAT IDAHOPIZZACOMPANY.COM SHALL NOT BE LIABLE FOR USER SUBMISSIONS OR THE DEFAMATORY, OFFENSIVE, OR ILLEGAL CONDUCT OF ANY THIRD-PARTY AND THAT THE RISK OF HARM OR DAMAGE FROM THE FOREGOING RESTS ENTIRELY WITH YOU. The Website is controlled and offered by idahopizzacompany.com from its facilities in the United States of America. Idahopizzacompany.com makes no representations that the idahopizzacompany.com Website is appropriate or available for use in other locations. Those who access or use the idahopizzacompany.com Website from other jurisdictions do so at their own volition and are responsible for compliance with local law. You agree to defend, indemnify, and hold harmless idahopizzacompany.com, its parent company, officers, directors, affiliates, employees, and agents, from and against any and all claims, damages, obligations, losses, liabilities, costs or debt, and expenses (including but not limited to attorney's fees) arising from: (1) your use of and access to the idahopizzacompany.com Website; (2) your violation of any term of these Terms of Service; (3) your violation of any third-party right, including without limitation any copyright, patent, trademark, property, or privacy right; or (4) any claim that one of your User Submissions caused damage to a third-party. This defense and indemnification obligation will survive these Terms of Service and your use of the idahopizzacompany.com Website. You affirm that you are either 18 or more years of age on the date at your location at which you use this Website, are an emancipated minor, or possess legal parental or guardian consent, and are fully able and competent to enter into the terms, conditions, obligations, affirmations, representations, and warranties set forth in these Terms of Service, and to abide by and comply with these Terms of Service. These Terms of Service, and any rights and licenses granted hereunder, may not be transferred or assigned by you, but may be assigned by idahopizzacompany.com without restriction. You agree that: (1) the idahopizzacompany.com Website is to be deemed to be based solely in Idaho; and (2) the idahopizzacompany.com Website is to be deemed a passive website that does not seek to purposefully avail itself of the benefits and privileges of doing business in any state other than Idaho and thus does not give rise to personal jurisdiction over idahopizzacompany.com, either specific or general, in jurisdictions other than Idaho. These Terms of Service shall be governed by the internal substantive laws of the State of Idaho, without respect to its conflict of laws principles. Any claim or dispute between you and idahopizzacompany.com that arises in whole or in part from the idahopizzacompany.com Website shall be decided exclusively by a court of competent jurisdiction located in Ada County, Idaho. These Terms of Service, together with the Privacy Notice and any other legal notices published by idahopizzacompany.com on the Website, shall constitute the entire agreement between you and idahopizzacompany.com concerning the idahopizzacompany.com Website. If any provision of these Terms of Service is deemed invalid by a court of competent jurisdiction, the invalidity of such provision shall not affect the validity of the remaining provisions of these Terms of Service, which shall remain in full force and effect. No waiver of any term of these Terms of Service shall be deemed a further or continuing waiver of such term or any other term, and idahopizzacompany.com's failure to assert any right or provision under these Terms of Service shall not constitute a waiver of such right or provision. Idahopizzacompany.com reserves the right to amend these Terms of Service at any time and without notice, and it is your responsibility to review these Terms of Service for any changes. If you wish to receive notification of changes to these terms of service, please send your email address to website@idahopizzacompany.com. If you do not do so, you agree that your use of the idahopizzacompany.com Website following any amendment of these Terms of Service will signify your assent to and acceptance of its revised terms. YOU AND IDAHOPIZZACOMPANY.COM AGREE THAT ANY CAUSE OF ACTION ARISING OUT OF OR RELATED TO THE IDAHOPIZZACOMPANY.COM WEBSITE MUST COMMENCE WITHIN ONE (1) YEAR AFTER THE CAUSE OF ACTION ACCRUES. OTHERWISE, SUCH CAUSE OF ACTION WILL BE PERMANENTLY WAIVED.